Vacationing in Los Cabos, one may be tempted to do nothing more than decompress poolside with a margarita at arm’s length — and another on the way once that’s gone. Others, however, may want to look beyond the cape’s enticements and explore Baja California Sur further. La Paz, the state capital of 250,000, is the perfect destination for such an expedition. The vibe of this laid-back coastal city is found in its name, which translates as “The Peace”. 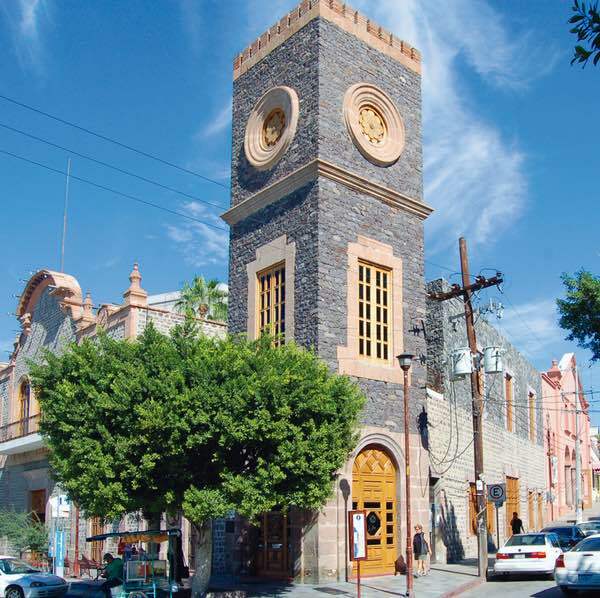 Not nearly as touristic as Los Cabos, one can find the “real Mexico” in the town’s historic center, its restaurants and in the genial attitude of locals, known fittingly as paceños (peaceful ones). The vibe of this laid-back coastal city is found in its name, which translates as “The Peace”. 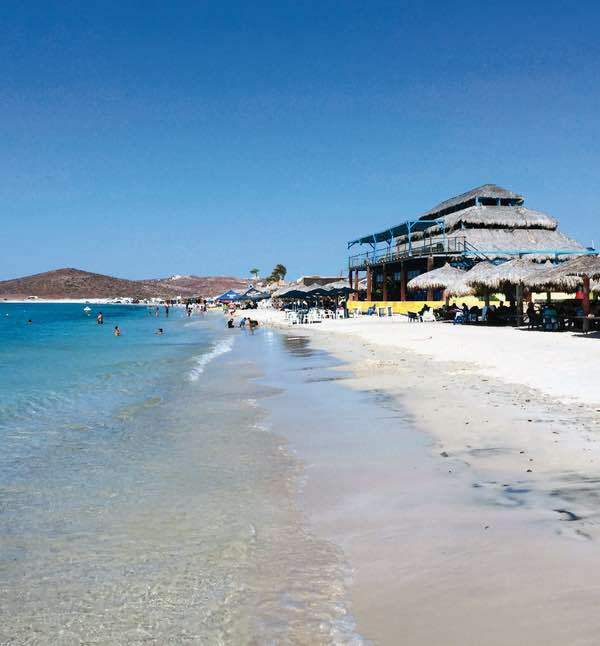 Just north of the city on the Pichilingue Peninsula, it’s not unusual to find oneself alone – or nearly so – on a pristine beach with waters so blue and clear, friends back home will enviably mistake social media photos of La Paz’s playas for the Caribbean. For those who seek adventure, the island of Isla Espiritu Santo and its surrounding atolls are an aquatic sportsman’s paradise. Jacques Cousteau himself referred to the waters off Espiritu Santo as the “world’s aquarium”. 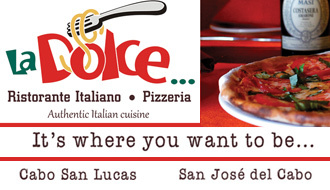 Finally, there are enough casual and fine dining options here to satisfy even the most particular gastronome. Fresh seafood is the name of the game in La Paz and the catch of the day is on the menu nearly everywhere. One can take the bus – Aguila Transport offers roundtrip fare from Los Cabos to La Paz for only $30 – or book seats on a tourist shuttle. But arguably, the BEST way to get around Baja California Sur is via car (this IS the Destino Los Cabos Road Trip issue, after all). By car, scenic routes can be enjoyed at a leisurely pace with stops along the way. 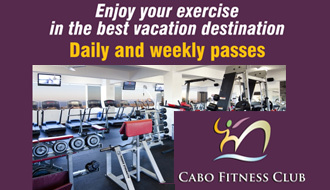 Alamo, Budget and most of the major car rental companies are at the La Paz airport and have locations throughout Cabo San Lucas and San Jose del Cabo. Cactus Rent A Car offers an affordable, locally-owned alternative. It’s important to be equipped with the proper amount of Mexican liability insurance to avoid potential on-road hassles. 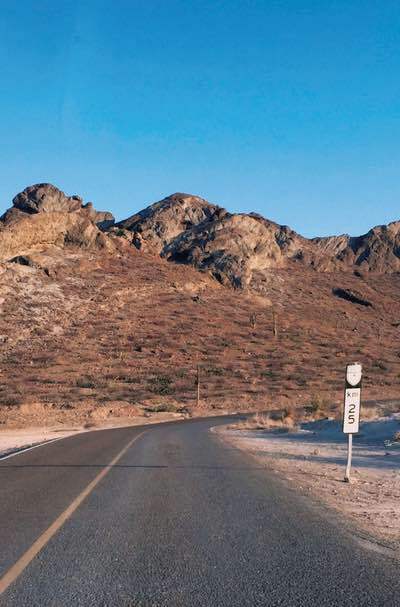 Two routes connect Los Cabos to La Paz: North from Cabo San Lucas on Highway 1 along the coast to Todos Santos, then northeast across the peninsula on Highway 19; or north from San Jose del Cabo on Highway 1, which winds through the peninsula’s interior and along the glittering East Cape. Unsuccessfully colonized by Hernán Cortés in the 16th century, La Paz was eventually settled in the 18th and briefly became the capital of all of Baja California in 1829. Much of the town’s history and culture can be absorbed via a leisurely stroll around the town center and malecón. Begin at Plaza Constitución, the city’s zocalo. The town square is dominated by the Misión de Nuestra Señora del Pilar, founded by Jesuit Missionaries in 1720. After browsing books on regional history in the Centro Cultural, head toward the malecón for brunch at quaint Maria California Restaurant — their menu offers traditional Mexican dishes such as chilaquiles and machaca. 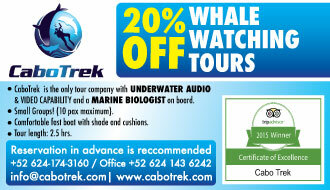 Escape summer’s blistering midday heat by visiting the Museo de La Ballena (Whale Museum) just down the street. 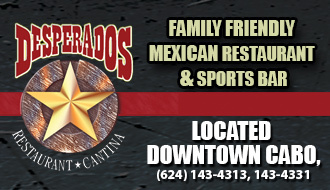 Finish with dinner and a glass of Baja California wine in the elegant courtyard of restaurant Los Tres Virgenes. The postcard-perfect coastline along the Pichilingue Peninsula is a mecca for beach goers. Wide sandy banks and calm, glistening waters tempt during arid La Paz’s typically warm sunny days. Most visitors start at Playa Balandra, an impossibly aquamarine bay surrounded by desert hills. Paddle boards and kayaks can be rented to explore the coves and mangroves in this shallow bay. For those wanting to channel their “inner Hemingway”, this is the place. 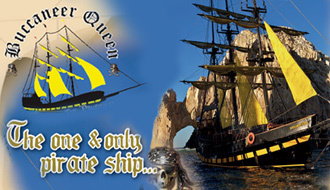 Fishermen can book charters with local outfitters such as Tailhunter International. For those who prefer to swim with, not eat, sea life, the opportunity to snorkel or dive with docile whale sharks with tour company Baja Expeditions can be a life-changing experience. 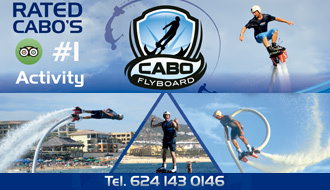 An adventurer’s highlight are the islands offshore of La Paz known collectively by the largest, Isla Espiritu Santo. 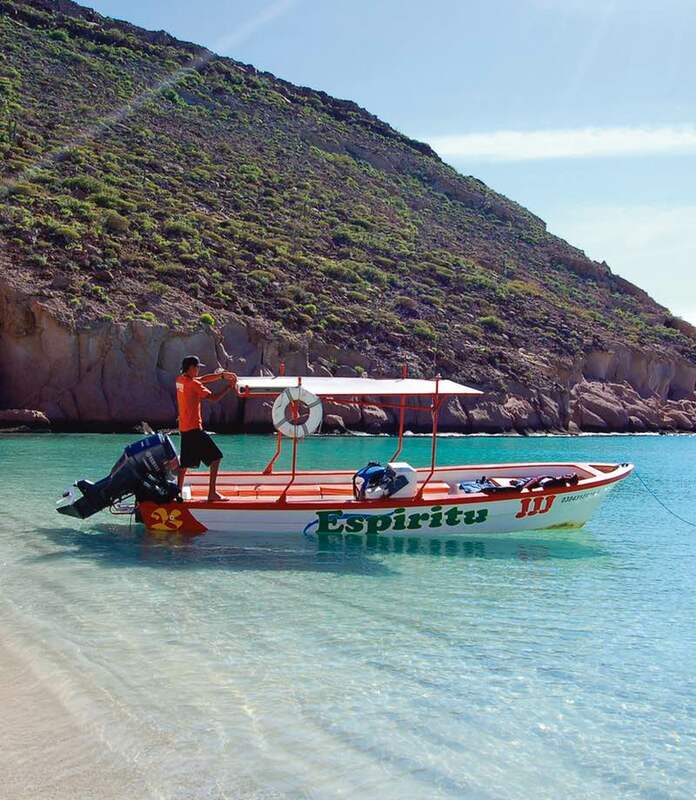 Join a small group of like-minded adventurers on a single day panga trip to the islands with Espiritu and Baja Tours. After exploring the archipelago and enjoying lunch on a deserted beach, the tour culminates with an opportunity to snorkel with a resident sea lion colony. With its location on the Sea of Cortez and proximity to the Pacific, La Paz is one of best places for seafood in Mexico. Local farms supply vegetables, fruit and meat. For a taste, start with a morning jaunt to Mercado Madero. 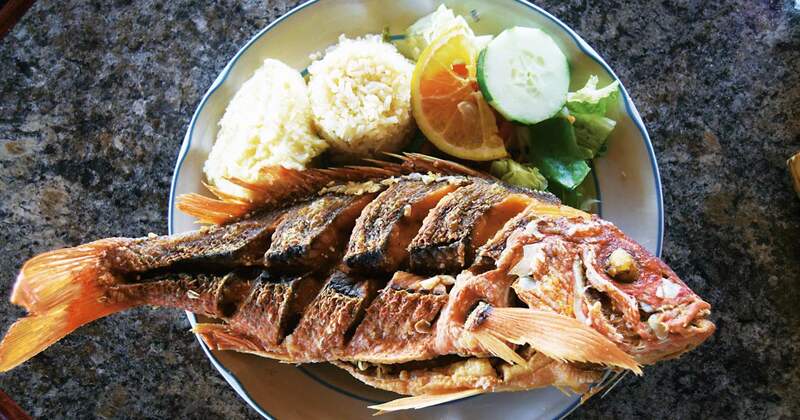 Then visit one of the city’s casual mariscos joints for lunch — locals flock to Mariscos El Molinito on the malecón or Mariscos La Güera north of town. At La Güera, the molcajetes (hardened lava bowls) contain generously portioned morsels of shrimp, octopus, clams and other oceanic delights. There’s also street food in La Paz, with vendors selling chocolate clams, ceviche and fish tacos. The best of the latter is said to be found at Tacos El Estadio near the center. Get there early — when the fresh fish is gone, so is the cart. For dinner, check out the recently opened Tatanka Baja Fish & Steakhouse from Carlos Valdez, formerly of the town’s famous Buffalo Grill. The chef expertly blends ingredients for ceviches and tostadas and serves hearty dishes of grilled fish and beef.